George graduated from the University of Leicester where he acquired an LL.B. with first class (Hons) in 2006 and is also the holder of an LL.M. in Corporate & Commercial Law with Distinction. Upon Completion of his Bar Vocational Course (BVC) at BPP Law School in London, George was called to the Bar of England & Wales in 2007, being a member of the Honourable Society of Lincoln’s Inn. 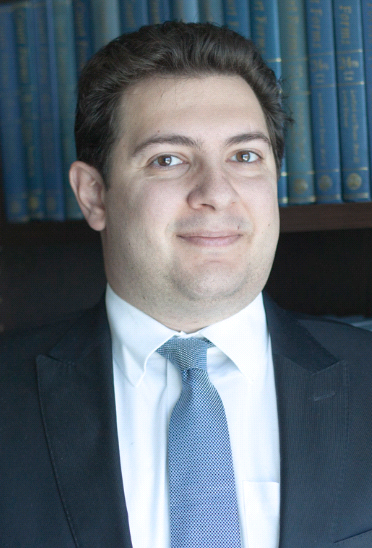 He is a practicing advocate and member of the Cyprus Bar Association since 2007. George’s main fields of expertise are corporate and commercial law, corporate & civil litigation, employment law, land law, estate planning, shipping law as well as administrative law. He has acted for and on behalf of multinational corporations for the Due Diligence reports and acquisition of structures based in Cyprus; including drafting and reviewing from a Cyprus-law perspective the pertinent agreements and documentation and working closely with global Law Firms. George headed up the group responsible for restructuring of Cyprus shipping companies and the transfer of their assets to other European companies including Austria, Germany and The Netherlands, leading the preparation and drafting of all necessary Agreements, Resolutions, Shareholder approvals and Registrar documents, including the lifting and reregistration of mortgages held by various international banks. The project involved matters of employment law (termination and/or re domicile) and liquidating the Cyprus companies. George has further headed the initial setup of companies in Cyprus, including Shareholders’ Agreements, relating to investments in internet startups and acquisitions of websites and IP rights, and was involved in the listing procedure of the parent company of a Cyprus subsidiary, in NASDAQ. George is a member of the Cyprus Bar Association and the International Lawyers Network. George has also obtained the license under Cyprus Law to act as an Insolvency Practitioner. In addition to his native Greek, George is also fluent in English and has basic understanding of the French language.